Since our challenge began over the weekend, some students wrote their posts in their Writer's Notebooks and then added them onto their blog on Monday. Although this is a 30-day writing challenge, and the start date is officially March 1, I am giving a little leeway to the students' start of their challenge. The weekend is a tough time to get started. Once they start, however, they have committed to writing a post a day. This is the first year that I am doing this challenge, so I am going to make it a little more flexible and see where it takes us. 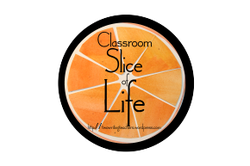 Our class is joining the Slice of Life writing challenge at Two Writing Teachers. Participation is optional. 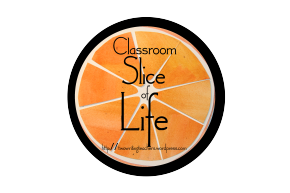 I will try to link posts and add images each day of student writing for the event. Since this challenge will take place during the weekends as well as the school days, some photos of writing will have to be added on Monday after students return to school if students to choose to write their posts in their writer's notebooks rather than on Kidblog. Some of the students in our classroom have accepted a 30-day writing challenge. The challenge is to write something...anything...every day for 30 days.